Ald. 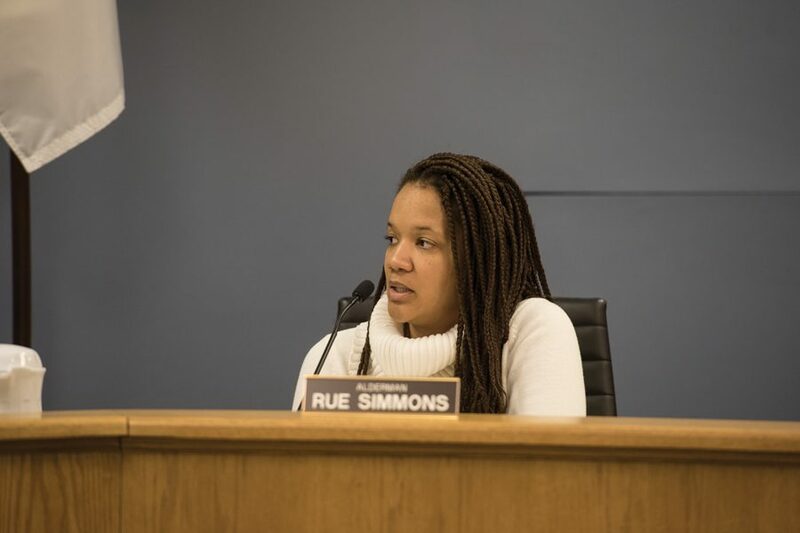 Robin Rue Simmons (5th) speaks at a City Council meeting. The Economic Development Committee discussed a grant that would improve technology job training access to low- and moderate-income residents. The Economic Development Committee recommended last week that City Council approve a $75,000 grant for a program providing technology job training to primarily low- and moderate- income Evanston residents. Evanston resident Emile Cambry — who founded Blue1647, a network of entrepreneurship centers dedicated to economic development through technology education — proposed the Evanston Codes program, which he said would provide free coding classes to residents and some Evanston Township High School students. Evanston economic development manager Paul Zalmezak said Evanston had wanted to start a coding initiative for several years before they “finally” found Cambry, who had the capacity to deliver a program in the city. But while the city hoped to launch the program after Cambry discussed the plan at a meeting in July last year, he said it could not move forward due to lack of funding. Zalmezak said the $75,000 from the city would support four classes for about 100 students total through the course of the year. He added that they may also license programs through ETHS, which could provide classes to 300 more students. Cambry said since his initial presentation in July, the program has received a grant from Google and support from Apple Inc. The program has also partnered with workforce development organizations that are focused on finding jobs for the students who receive the training, he added. The target market for the training, Cambry said, is 18- to 34-year-olds and others who would like to work in the technology sector but could not gain the necessary skills or connections otherwise. Cambry said Blue1647 is similar to the widely-used Codecademy platform, but less expensive. According to city documents, the average cost of a 10-week web development program is $10,000. Cambry’s 12-week program proposal is an “alternative web-based training model” that would provide free training in programming, project management and software development, according to the documents. He said one of the reasons Blue1647 can offer a low-cost model is because the other bootcamp programs are for profit. Cambry added that all students participating in Evanston Codes will be from Evanston, and that Blue1647 has other programs for young adults in other areas. Ald. Robin Rue Simmons (5th) said she supports the program and that she has followed Cambry’s progress on social media since his last presentation.